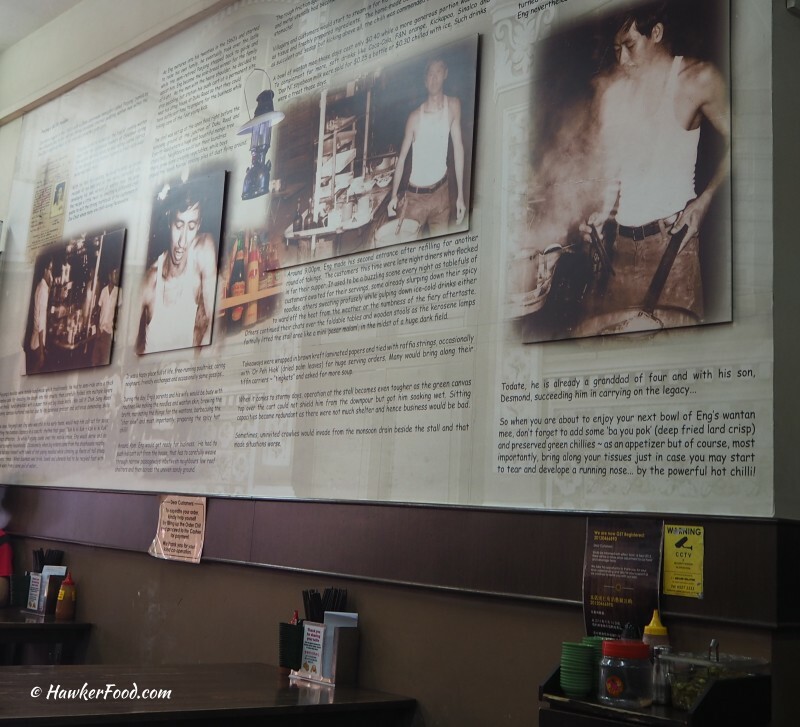 A few months back, I wandered to Tanjong Katong to jalan-jalan and to look for hawker food in that area. So, here I was at Eng’s Noodles House at around 4 plus in the afternoon to have my “pre-dinner” snack. At the entrance, you will notice the chairs outside are meant for queuing so I guess it will be real crowded during peak hours. A stack of order chit is provided and the menu is pretty straightforward. 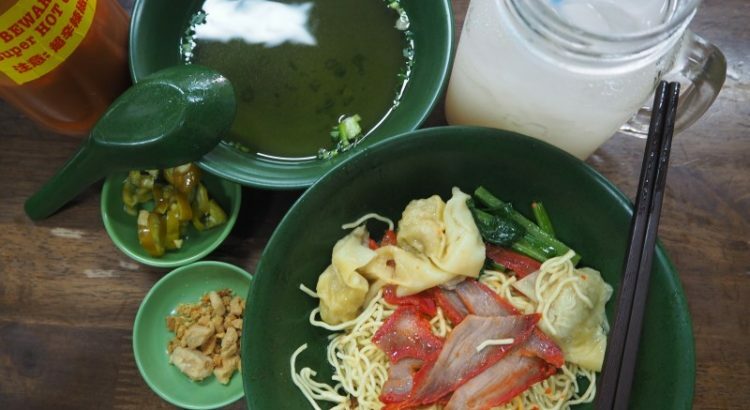 I opted for the small wanton mee (dry) at $4.50 as well as a cold barley at $1.50 to combat their famous super-duper hot chilli. After you have proceeded to the cashier to make payment, please remember to take the various condiments found near the “history” wall as shown above. 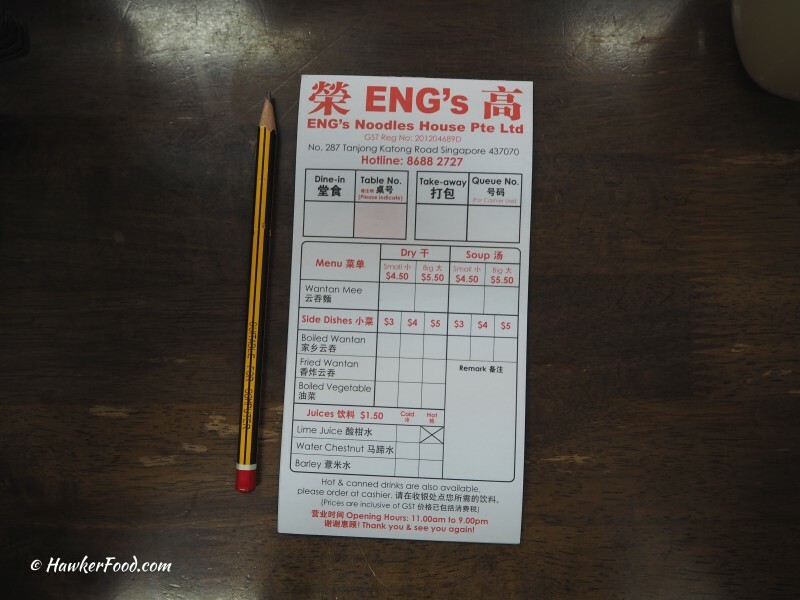 Sit yourself down and read the history of Eng’s Noodles House while waiting for your wanton mee to be prepared. My order came pretty fast. 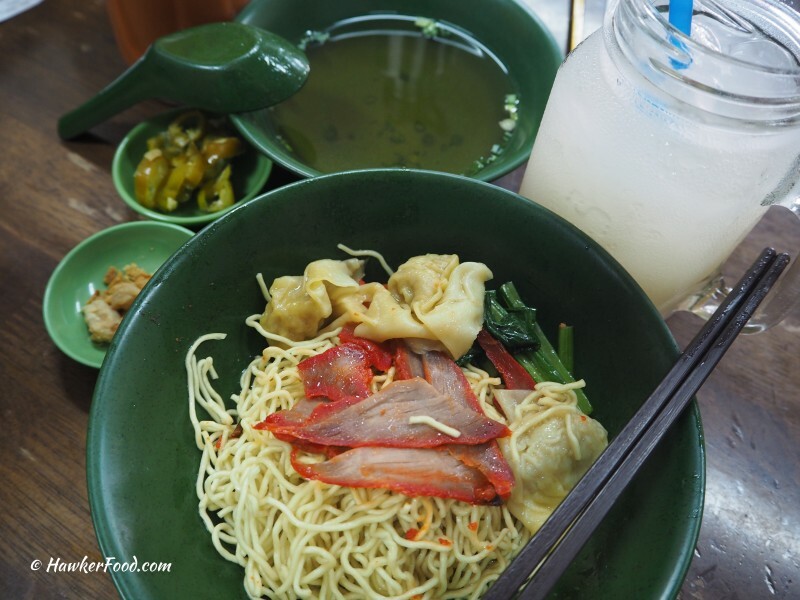 The sizing for a small wanton mee is just about right for me as a “pre-dinner” meal. The soup was clear and not too salty and I liked its simple taste. I only added a small dollop of it and it already made me sweat profusely. But, the feeling was darn shiok and it really added a good fiery punch to the noodle. 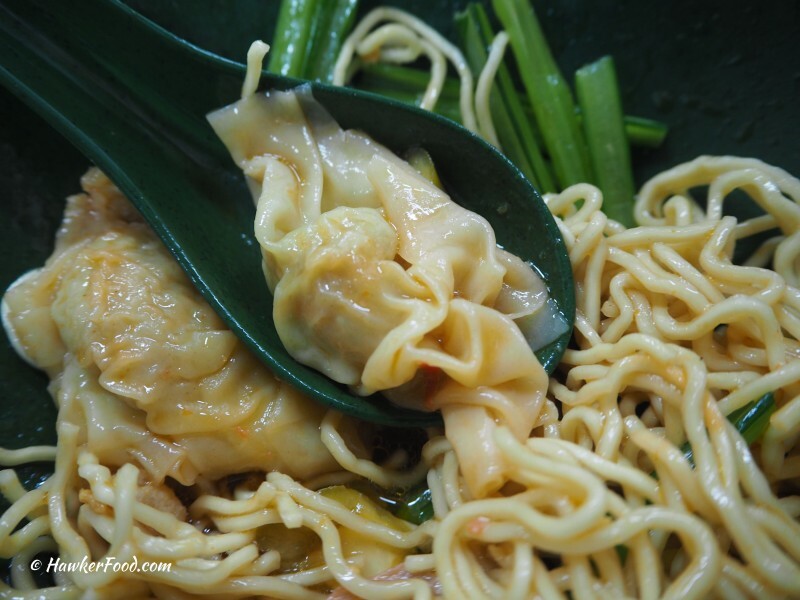 The noodle was springy and firm to the bite and the texture is definitely different as compared to mainstream wanton noodle. 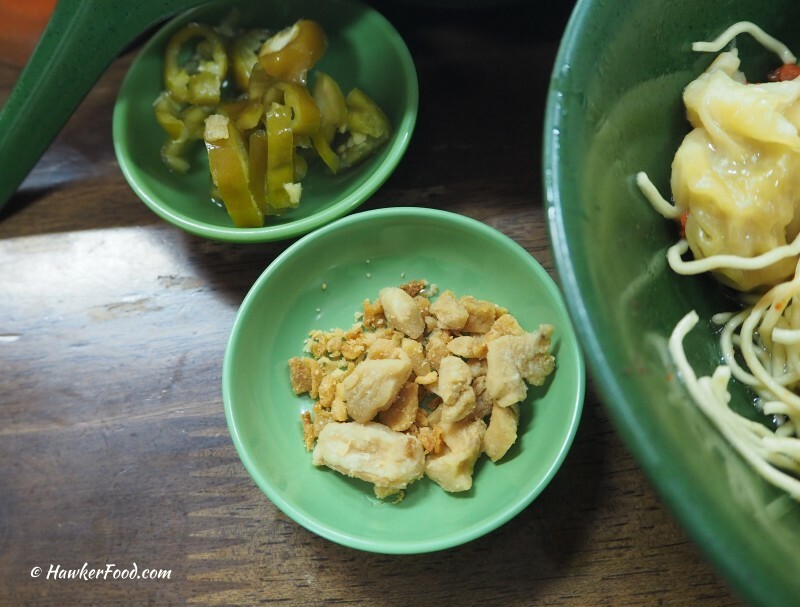 Combining its gravy and a small dose of their fiery chilli really made the noodle taste extra delicious. The lean char siew slices were as expected very normal in taste, nothing to shout about. I fished out the wantons for a headcount and in total there were four of them. The wantons had a nice chewy meaty bite and tasted real good. 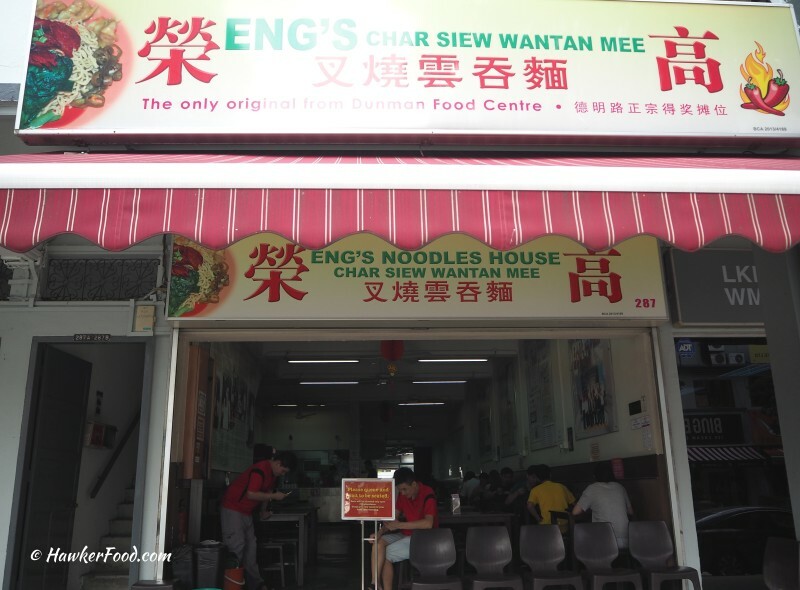 Quality wanton noodle combined with fiery chilli, Eng’s Noodles House char siew wanton mee is really a good choice for wanton noodle lovers. 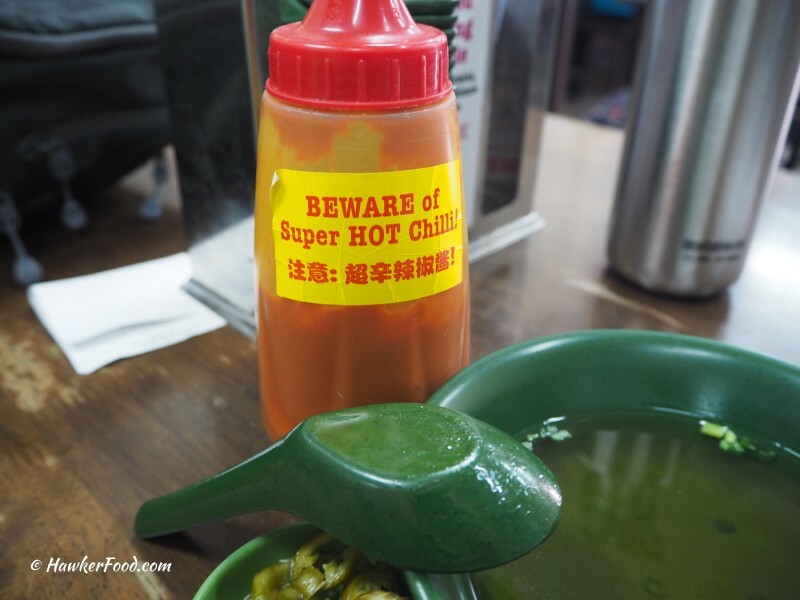 Just go easy on the chilli but do not go without any chilli at all.